install | Any IT here? Help Me! This tutorial will show you the simple steps of installing a modern Linux Distribution Fedora 29 KDE Plasma Desktop with KDE for the user graphical interface. First we present the basic steps for installing the Operating system in addition to your present operating systems (here we have two: Windows 10 and Ubuntu 16) and then you can see some screenshots of the installed system and the look and feel of it. We have another tutorials showing more screenshots of the installed and working Fedora 29 (Gnome and KDE plasma) – so you can decide which of them to try first – coming soon. The installation process is very similar to the old Install Fedora 27 KDE Plasma Desktop. Our system was pretty new – Asus X399 with AMD Ryzen Threadripper 1950X and NVIDIA 1080 TI and the setup loaded successfully and there were no problems till the end. SCREENSHOT 1) Here is our “UEFI BIOS->Boot->Boot Override” and in most modern motherboard you can choose to override the default boot devices. Choose the “UEFI: HL-DT-STDVDRAM…” to boot and install Fedora KDE 29 with UEFI support. You should do this, because most of the new hardware like video cards would not work properly without beeing in UEFI mode. This tutorial will show you the simple steps of installing a modern Linux Distribution like Fedora 29 Workstation with Gnome for the user graphical interface. First we present the basic steps for installing the Operating system in addition to your present operating systems (here we have two: Windows 10 and Ubuntu 16) and then you can see some screenshots of the installed system and the look and feel of it. We have another tutorials showing more screenshots of the installed and working Fedora 29 (Gnome and KDE plasma) – so you can decide which of them to try first – coming soon. The installation process is very similar to the old Fedora Workstation 27 and Fedora Workstation 28, in fact the main difference is the creation of an user, which the setup is not responsible anymore, the creation of an user is done by the first boot after installation. Our system was pretty new – Asus X399 with AMD Ryzen Threadripper 1950X and NVIDIA 1080 Ti and the setup loaded successfully and there were no problems till the end. STEP 1) Here is our “UEFI BIOS->Boot->Boot Override” and in most modern motherboard you can choose to override the default boot devices. 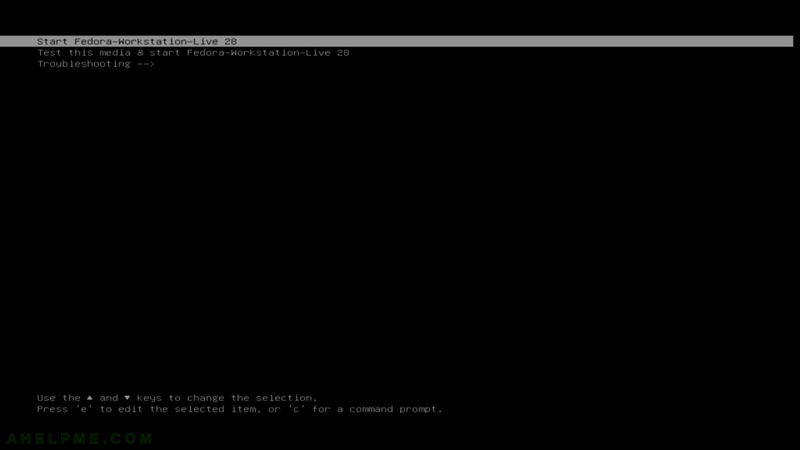 Choose the “UEFI: HL-DT-STDVDRAM…” to boot and install Fedora Workstation 29 with UEFI support. You should do this, because most of the new hardware like video cards would not work properly without beeing in UEFI mode. 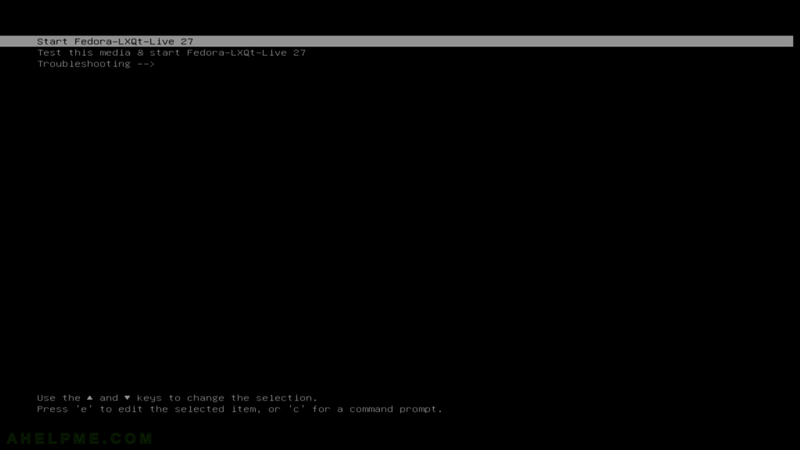 Here we are going to show the minimum steps to install a base Gentoo Linux on your computer – server or desktop using “Minimal Installation CD”. The installation ISO CD is generated on 11.09.2018, but you can use an older or newer one, this guide uses commands, which are available in really old ISOs (10 years ago) and probably will be available in the future, too! The idea is not to change this ISO a lot and to have only the basic tools for installation, which should be the same for a really log time! If you need more tools there two other options: Hybrid IS0, which is a LiveDVD – a system with GUI and Admin CD, which is extended version of the minimal installation CD (no GUI). 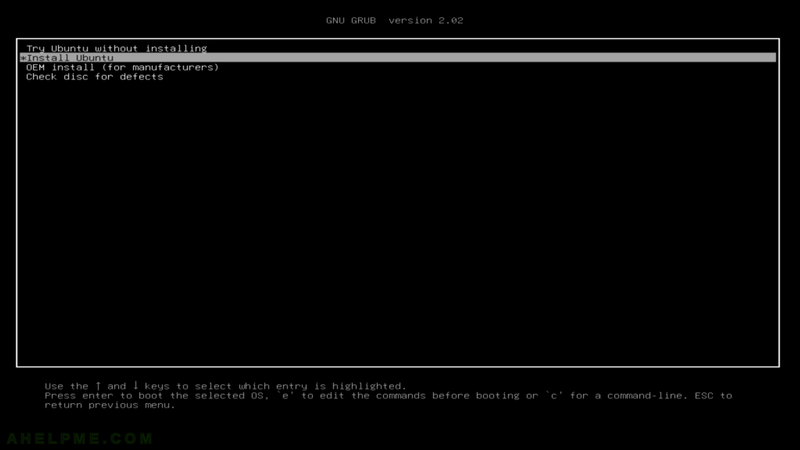 GRUB 2 UEFI enabled and the server will be booted in UEFI mode. Recently most of the desktop machine and server support it and in many cases it is mandatory to use a new hardware. to install NVIDIA Cuda we need the NVIDIA proprietary driver working (and the libraries and files it provides). Ubuntu and most linux distributions come with the open source driver nouveau, but it is with limited performance and capabilities. For gaming and development you will need the official NVIDIA driver, the SDK and many additional proprietary libraries. 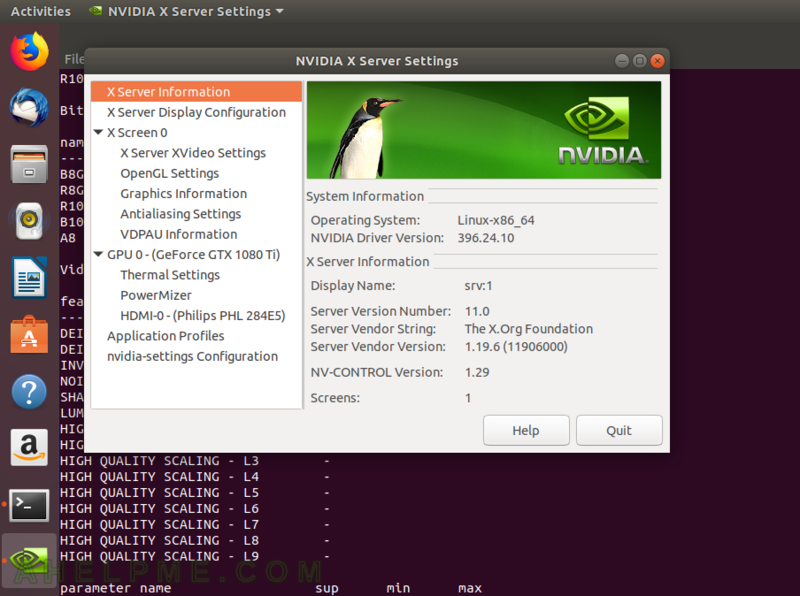 This howto is a sort of continuing the Install NVIDIA proprietary drivers on Ubuntu 18.0 LTS (x86_64) where we install the proprietary driver from the unofficial community driven repository “Graphics Drivers” team. This is Personal Package Archives (PPA) repository! So you should check it, too and be careful about this repository as the maintainers say. For completeness will include all the steps to install the NVIDIA proprietary driver (and for more details for this part just read the specific howto we offer above) and Cuda. 0 upgraded, 97 newly installed, 0 to remove and 22 not upgraded. Need to get 145 MB of archives. After this operation, 743 MB of additional disk space will be used. 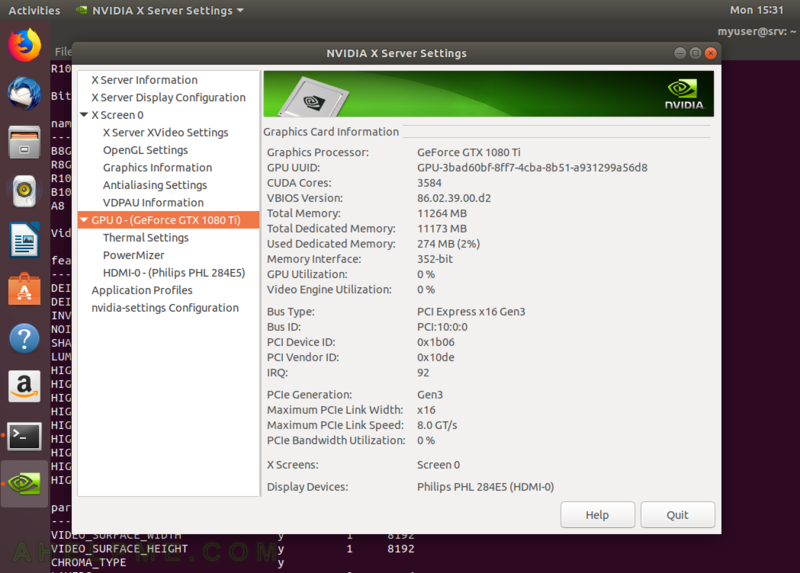 As you can see the nvidia 396 driver is going to be installed in our system. You can see all the additional (some of which are dependencies) packages to be installed. [    1.414268] nvidia: loading out-of-tree module taints kernel. [    1.414273] nvidia: module license 'NVIDIA' taints kernel. STEP 2) Install NVIDIA CUDA toolkit. As of writing this howto the CUDA 9.1 will be installed. It depends on GNU GCC 6, but it will automatically pull it as dependencies (you can include it in the install command line as we did). 0 upgraded, 90 newly installed, 0 to remove and 25 not upgraded. Need to get 831 MB of archives. After this operation, 2005 MB of additional disk space will be used. You can see all the extra packages you will get – 2G of space is needed and the NVIDIA CUDA 9.1 will be installed (along with GNU GCC 6). The new Ubuntu release is here and as usual it comes with nouveau kernel module for your NVIDIA GPU. Probably this driver is good for everyday office use, but if you like to play games you will need the proprietary driver from NVIDIA for sure! 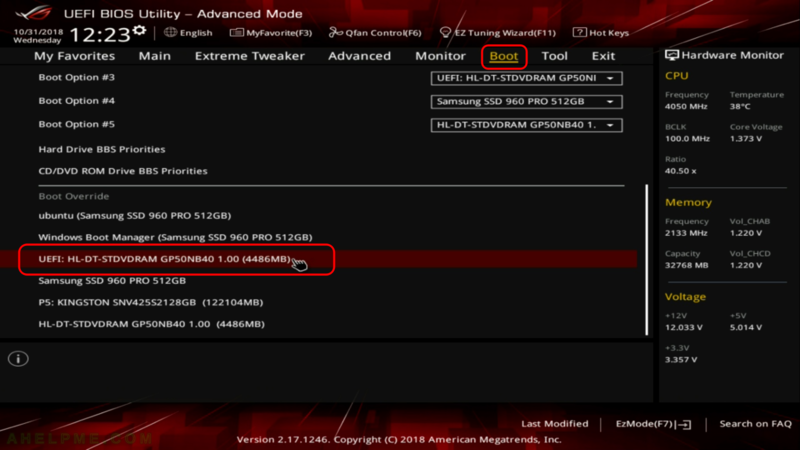 Here are the steps to install the official drivers from NVIDIA with the help of the unofficial community driven repository “Graphics Drivers” team. This is Personal Package Archives (PPA) repository! DKMS is used for building the NVIDIA kernel module when a new kernel is installed. So you do not have to worry if you update your kernel. Still till now no major problems in this repository from its creation and if you just have a home computer and you are a novice in Ubuntu (linux) world you can use this approach of installing NVIDIA proprietary drivers. There is another way of installing the NVIDIA driver from an official source and we are going to cover it soon (coming soon). STEP 1) Update your system. Always do this step before installing new software or repositories! which is part of this package “ubuntu-drivers-common” and it should be installed by default if missing just install it with apt (look below for more information). As you can see the nvidia 396 driver is going to be installed in our system. We included part of the output – the packages, which will be installed. When the setup is ready reboot your system to load the newly installed driver. This tutorial will show you the simple steps of installing a modern Linux Distribution – Ubuntu Desktop 18.04 LTS. Here we present the more advanced setup installation, when you have already had installed operating systems, so this installation will add Ubuntu 18.04 LTS to our two existing ones – Microsoft Windows 10 Professional and Fedora Workstation 28. So we have 3 hard disks – one is NVME, the other two are SSDs and we want to install our Ubuntu 18.04 to the first disk – “sda” in this case. Our first SSD has two partitions, which we will remove and make new disk layout for the Ubuntu installation with three partitions. 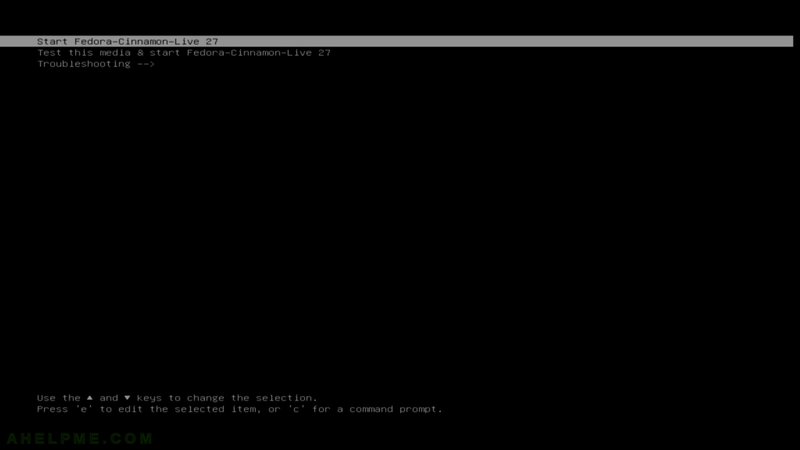 STEP 1) Change to “Install Ubuntu” and hit enter. To install Ubuntu from your DVD or USB you must boot from it, so change your BIOS accordingly – first boot devide should be the DVD or USB drive with Ubunto installation. If you do it successfully you would see the screenshot below. This tutorial will show you the simple steps of installing a modern Linux Distribution like Fedora 28 Workstation with Gnome for the user graphical interface. First we present the basic steps for installing the Operating system in addition to your present operating systems (here we have two: Windows 10 and Ubuntu 18) and then you can see some screenshots of the installed system and the look and feel of it. We have another tutorials showing more screenshots of the installed and working Fedora 28 (Gnome and KDE plasma) – so you can decide which of them to try first – coming soon. The installation process is very similar to the old Fedora Workstation 27, in fact the main difference is the creation of an user, which the setup is not responsible anymore, the creation of an user is done by the first boot after installation. Our system was pretty new – Asus X399 with AMD Ryzen Threadripper 1950X and NVIDIA 1080 Ti and the setup loaded successfully and there were no problems till the end. This tutorial will show you the simple steps of installing a modern Linux Distribution like Fedora 27 Cinnamon for the user graphical interface. Cinnamon derives from GNOME 3 and it follows the traditional desktop conventions. After the release of GNOME 3 and GNOME Shell (and abandoning GNOME 2) a fork of GNOME 3 was made and Cinnamon was born to follow traditional desktop not the “shell” interface of GNOME 3. At present Cinnamon is not a front-end on top of the GNOME any more despite it still uses GTK+. If you search for a GTK+ based GNOME 2 or xfce similar linux desktop GUI you might reach a good option with Cinnamon. Its look and feel is more like KDE than MATE, which follows more strictly GNOME 2 layout. First we present the basic steps for installing the Operating system in addition to your present operating systems (here we have two: Windows 10 and Ubuntu) and then you can see some screenshots of the installed system and the look and feel of it. We have another tutorials showing more screenshots of the installed and working Fedora 27 Cinnamon (Gnome and KDE plasma) – so you can decide which of them to try first – coming soon. All of the installation setups are very similar for all GUIs of Fedora 27 it loads a live edition of the version of Fedora 27 you install and then the setup is launched by the user, the setup almost identical in all editions, but we do not want to give you a tutorials with “spaghetti” and unstructured flow of steps to follow. This tutorial will show you the simple steps of installing a modern Linux Distribution like Fedora 27 LXQt for the user graphical interface. LXQt stands for Lightweight Qt Desktop Environment and it is a bundle of packages to offer a LXDE ported with QT libraries. It is still under heavy development, but at present it is pretty stable and nice looking light linux GUI (light as we can tell using QT, of course). Even using QT it maintenances the idea of light and fast GUI as the original idea of LXDE using GTK3+. In fact in our opinion LXQt is nicer and better looking than LXDE and if you need a pretty system on not so new hardware you could give a try with it! If you were familiar with KDE 3.5 you would like LXQt for sure! There is a great resemblance between them in the GUI (not the builtin application, because KDE has and had a lot more!). First we present the basic steps for installing the Operating system in addition to your present operating systems (here we have two: Windows 10 and Ubuntu) and then you can see some screenshots of the installed system and the look and feel of it. We have another tutorials showing more screenshots of the installed and working Fedora 27 LXQt (Gnome and KDE plasma) – so you can decide which of them to try first – coming soon. All of the installation setups are very similar for all GUIs of Fedora 27 it loads a live edition of the version of Fedora 27 you install and then the setup is launched by the user, the setup almost identical in all editions, but we do not want to give you a tutorials with “spaghetti” and unstructured flow of steps to follow.